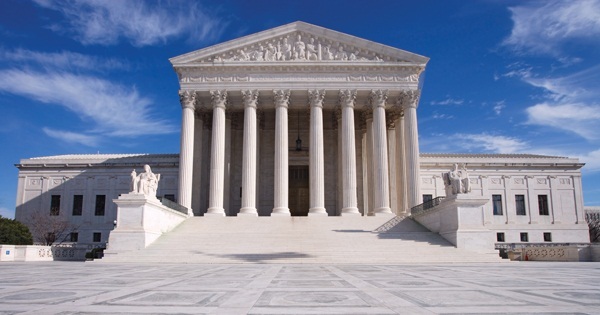 Should Supreme Court Justices Be Held to the Same Ethical Standards as Other Judges? As the Supreme Court wades into President Obama’s controversial health-care law, U.S. Rep Chris Murphy, D-5th District, is hoping to shed a little light on a controversy closer to home for the nine jurists in the black robes. Murphy is again trying to draw attention to his bill, introduced a year ago, that would subject the Supreme Court justices to the same code of conduct as all other federal judges, with rules that enhance financial disclosures while limiting political activity and the acceptance of gifts from litigants. That may not seem terribly controversial, but the “Supreme Court Transparency and Disclosure Act of 2011’’ has been jammed up by partisanship. The bill followed criticisms of political activities involving conservative Justices Antonin Scalia, Clarence Thomas and Samuel Alito. And so far, dozens of Democrats have supported the legislation while Republicans have kept their distance. Murphy has insisted the legislation should not be seen as aimed at one wing of the court. The bill also tackles the contentious issue of when justices should recuse themselves from hearing cases. Liberals have called on Thomas to recuse himself from the health care case because his wife is paid by a group that opposes the law. Conservatives have said Justice Elena Kagan should step back because she served as solicitor general in the Obama White House when the law was drafted. Both declined. Under Murphy’s proposal, justices who voluntarily recuse themselves would have to disclose the reason for the recusal. Likewise, if a request for recusal is denied, the reason for the denial would have to be made public. The bill would also create a process by which other federal judges could hear challenges to a decision permitting a justice to stay on a case. Currently, recusal decisions are left to the discretion of the court, which no mechanism to oppose those decisions. The Courant is using Facebook comments on stories. To comment on courant.com articles, sign into Facebook and enter your comment in the field below. Comments will appear in your Facebook News Feed unless you choose otherwise. To report spam or abuse, click the X next to the comment. For guidelines on commenting, click here. Simply desire to say your article is as astonishing. The clarity in your post is simply great and i can assume you’re an expert on this subject. Fine with your permission let me to grab your RSS feed to keep updated with forthcoming post. Thanks a million and please continue the rewarding work.